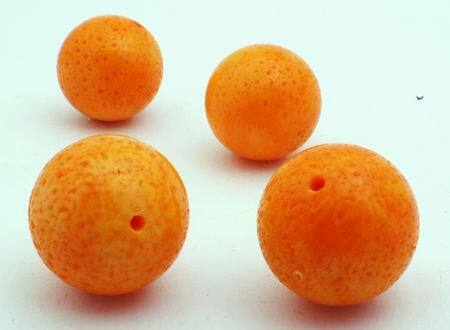 Sorry, we are currently sold out of '10 Large Tangerine Coral Beads'. Please check back later. Price is per 10 of these unusual beads, each measures 18mm. Real coral, but dyed. Beautiful finish - looks like you could eat!